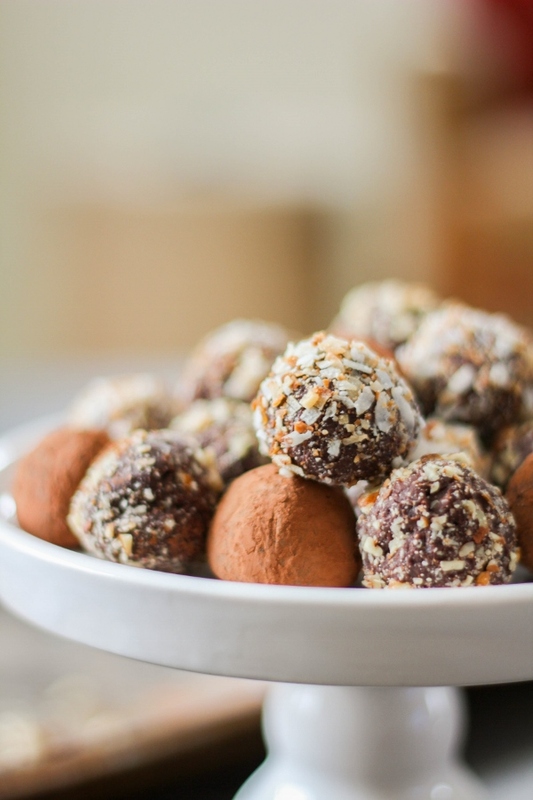 These decadent Simple Chocolate Truffles are smooth and creamy and so simple to make. These beautiful candies would make a delightful addition to your dessert tray! Happy February! I can't believe I actually just said that. Where did January go? It seems like just yesterday that we celebrated the New Year! Anyway, now that February is in fact here, there is one thing that's on my mind...Valentine's Day! I love Valentine's Day because of the treats. Does that surprise you? You can always count me in when there is food involved, especially sweets! 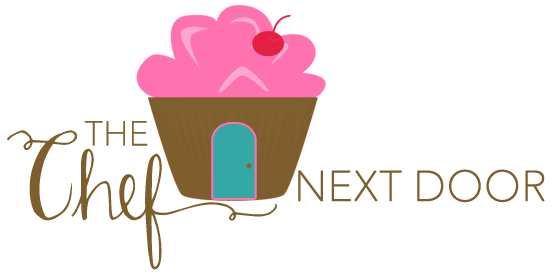 To get you ready for the big day, I'll be sharing some simple desserts with you over the next week or so. 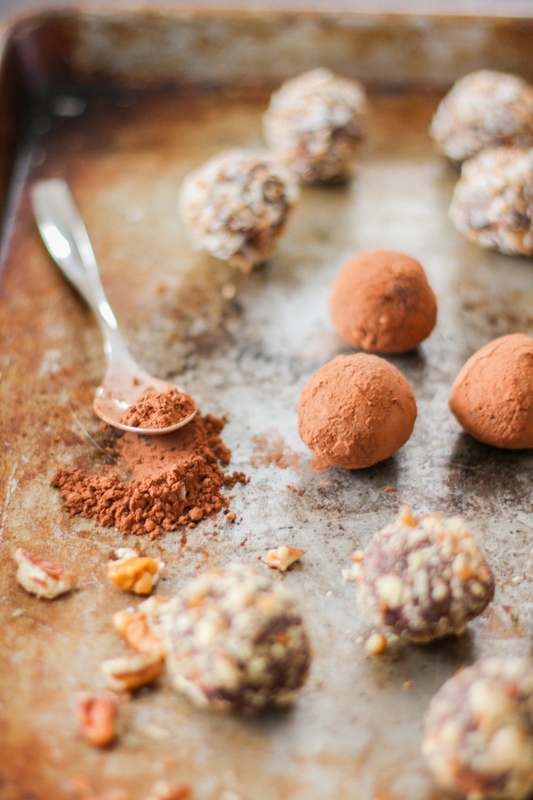 First up are these decadent chocolate truffles! 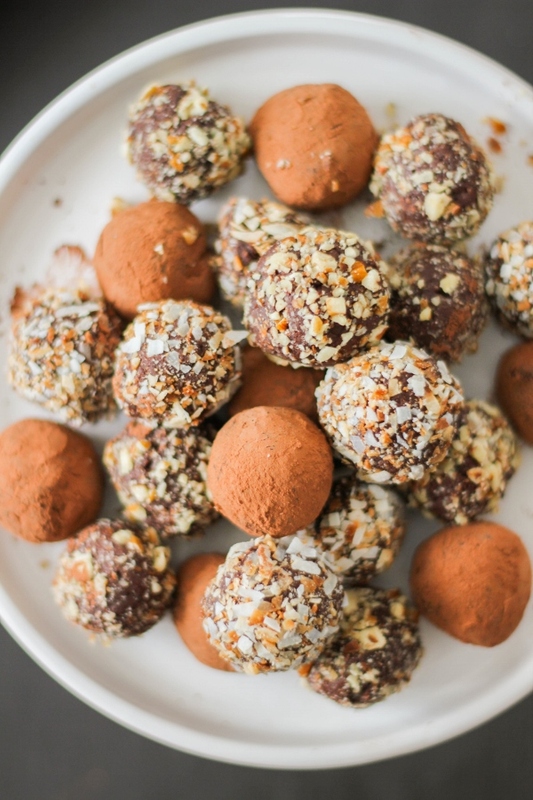 Truffles may sound all fancy and whatnot, but they are actually incredibly easy to make. 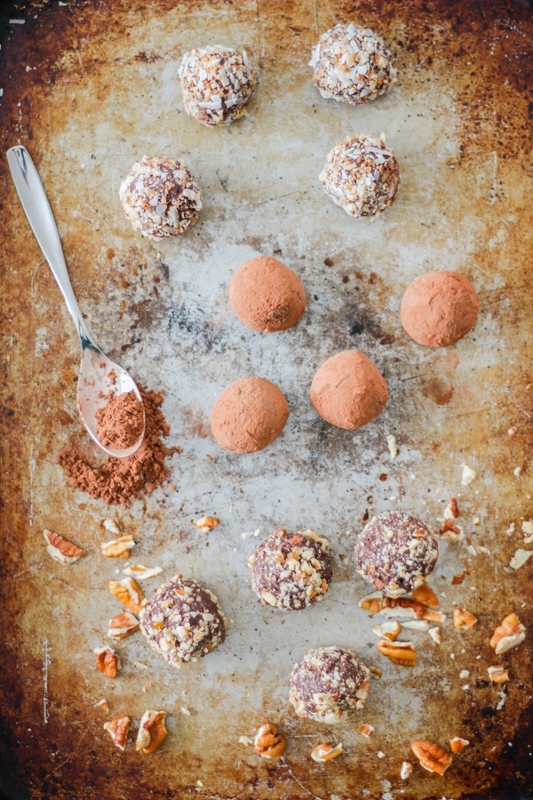 The truffles themselves consist of just three ingredients, and then you can top them with a variety of your favorite things. The most traditional is rolling them in cocoa powder, but I also love chopped pecans and toasted coconut. Toasted coconut is probably my most favorite, only because I'm obsessed with coconut and toasting it gives it the perfect crunch to pair with the soft and creamy truffles. I'm going to tell you something right now, truffles don't have to be perfect. Not perfectly round? Who cares! Some are bigger than others? No one will notice! The fact that you took the time to make these delicious candies by hand will certainly impress your family and friends. Tuck them in a cute box or serve them on a pretty platter, but make sure to save some for yourself! They are definitely hard to resist. In a small saucepan, heat the cream and vanilla over low heat just until it starts to bubble. Be careful not to boil! Place the chopped chocolate in a bowl. Pour the hot cream over the chocolate and allow it to sit for a few minutes, then stir until smooth. Allow the mixture to cool, then refrigerate for two hours. Using a small scoop, roll out balls of the chocolate. Roll them in your hands quickly and place on a parchment lined baking sheet. Allow to set overnight in the refrigerator. Roll the truffles in the toppings you desire. Add a tablespoon of cocoa powder to a small bowl. Using a spoon, gently toss the truffles in the cocoa powder, then tap the spoon on the side of the bowl to shake off any excess. Make sure the pecans are very finely chopped, then gently roll the truffles in the pecans, carefully pressing to adhere. For the coconut, be sure to cool it completely after toasting. Chop it finely, then roll the truffles in the coconut, gently pressing to adhere. Serve the truffles immediately, or cover them and put them back in the refrigerator until ready to eat.